Next up in the Our Community Runs series, we interviewed Ashley Rossmeissl, founder of the Fox Cities Moms Run This Town/She Runs This Town Chapter. My name is Ashley Rossmeissl and I live in Appleton with my husband Joe and two kids, Maggie (6) and Luke (4). In May 2016, I formed the local chapter of Moms Run This Town/She Runs This Town. It is a free running club for all women of any level and experience! I now co-lead the local group with 3 wonderful Chapter Leaders and 10 other enthusiastic ladies on our committee. Our chapter has grown leaps and bounds and is now just under 4,200 members across the Fox Cities. We host anywhere from 20-40 runs per week, depending upon the season! Tell us about your position in your organization and what you do. As one of the Chapter Leaders, one of my main goals is to keep the group engaged and motivated. 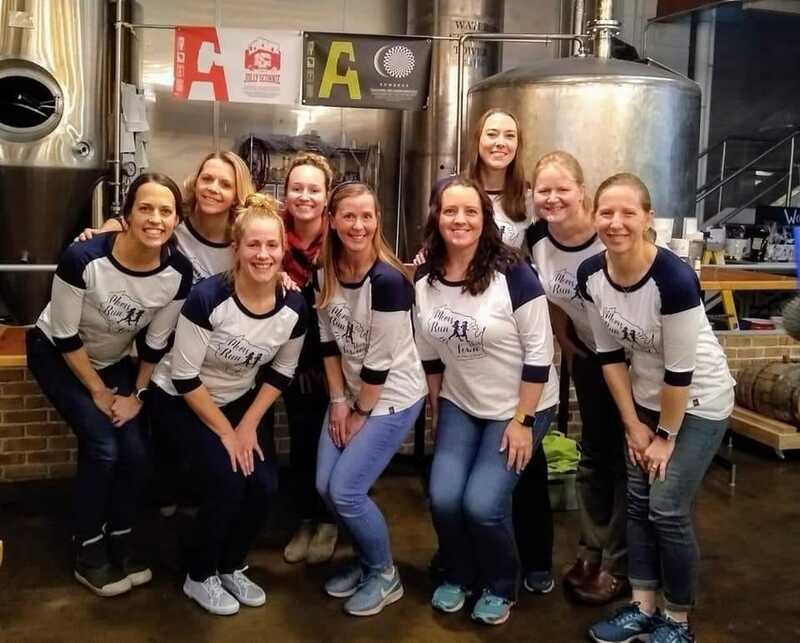 We all play certain roles within the group; hosting New Runner events, organizing small and large social runs and fundraisers, getting our group organized for local races, and getting our group involved in the community. We cover it all! As the years have progressed, my role has become motivator and the organizer of our Monthly Challenges. These challenges are a fun way to get involved in the group, stay active and give back to our community. A favorite challenge is our November Team Challenge; we randomly assign 5 ladies per team and we see how many miles each team can run throughout the month. We average about 60 teams and each team organizes a charitable donation of some sort as well! When and how did you first become involved in the running community? I have been running in some recreational capacity since 2004. I started in college at UW-Madison, ran throughout graduate school in Ann Arbor and continued running when we moved to Appleton in 2013. Surprisingly, I was not very involved in the running community at all until we formed MRTT/SRTT; I usually ran solo and participated in one race per year. I quickly learned what a supportive and amazing place the Fox Cities is for runners. I was humbled at the outset of forming this group that there are so many talented, knowledgeable and dedicated runners in this community and I am always learning something new. 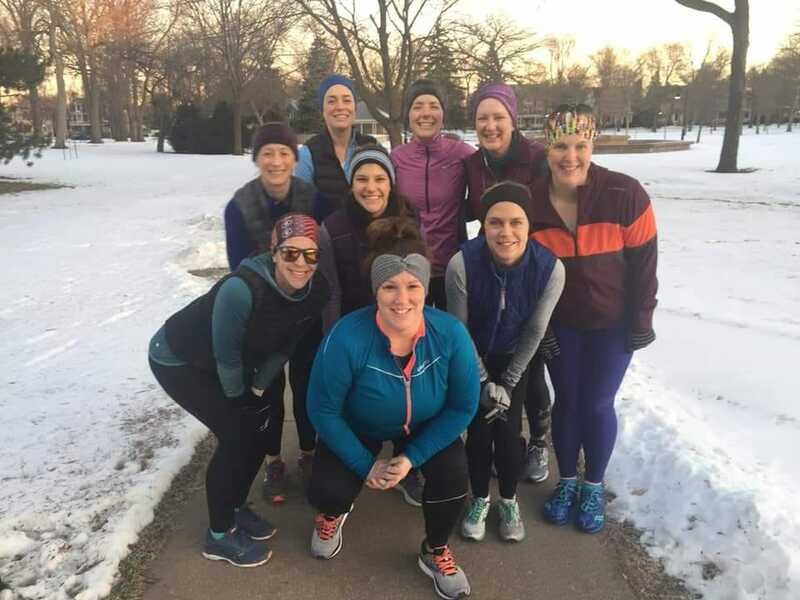 The goal of the group was to simply get busy women together to enjoy miles, share fitness and health-related information and make new friends. I am thrilled that we have had a positive impact on so many women in the area! I am truly grateful for all of the help I have received from our team along the way. What has been a highlight for you in your position/organization since you have been involved? The group is now nearing it’s third anniversary this spring, so we have run a lot of miles, hosted a lot of events, and participated in so many races! The highlights, however, are still when we see the newest runners/members post on our Facebook page that they ran their first mile, or completed a Couch to 5K challenge or signed up for their first race. We have a such a diverse group of runners represented; from beginners to ultrarunners. But we can ALL relate to starting our running journey and the group as a whole steps up on a daily basis to support our newest members so they feel encouraged and informed. Seeing the self-love and excitement that comes with “I just ran my first 5K!” will absolutely never get old. How has Run Away Shoes been involved with you and your organization? Run Away Shoes has been involved in our growth as a group from the beginning! We did our first gear order through the shop and I sold those tank tops out of the back of my van! We still consider those pink and blue shirts our first edition MRTT tanks and they are special to the ladies who have been around since 2016. Our Gear Team now uses Run Away Impressions for all of our gear orders! Additionally, the Houdini 10K in November of 2016 was the first race MRTT truly attended in a big way. At that point the group consisted of about 800 members and over 100 participated in the race. It was an exciting moment in the growth of our chapter! It was the first time we had trouble fitting all of our members into one photo prior to the start of the race. Run Away has also been very involved in hosting informational clinics at the store exclusively for MRTT/SRTT, several of which we do annually and are a favorite amongst the group. In late fall they host our “Winter Gear Clinic.” With the rate at which our group has grown and the encouragement and training plans offered by our leaders, there are more members running outdoors all winter long every year! This session is very helpful to learn how to safely run outdoors in the cold. Another favorite session is the “All Levels Speed Clinic” Run Away has hosted for us multiple times. Whether our members are looking to get started running or PR a race, the information we have gathered at that session is universally applicable! What is coming up for you? What do you want the community to be aware of within your organization? Each year our amazing members become more involved in our events, runs and local races. We are looking forward to another year of logging miles together and supporting one another in our running dreams! In 2018 we raised money for several local organizations and/or donated items to local charities. In 2019, we are looking forward to continuing some of our volunteer efforts by donating our time and knowledge and some of these endeavors are already underway! What I personally would love our community to know about Moms Run This Town/She Runs This Town is what truly drives this organization, and that is the hearts of our members and their kindness toward one another. Yes we are a passionate running group; every day we log miles, make goals, and discuss running, we love it! Beyond the miles though, our members are full of encouragement for one another. Our Sunshine Crew sends personal cards and gifts to our ladies when they are going through a tough time. Our Scholarship Fund Team allows many ladies to run races who might not otherwise have the opportunity to experience the thrill and emotion of race day. The respect these women have shown one another exemplifies that we can do more as a team and that positivity makes a difference. When we can no longer run, we will have the memories and friendships that will last a lifetime.